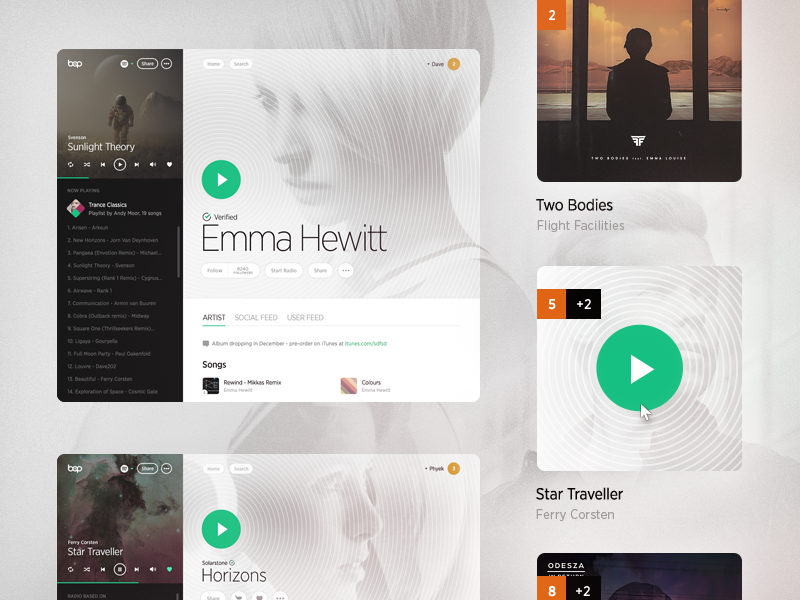 Bop Site Design & UI elements. 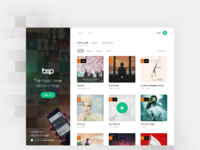 Bop.fm is a site that aggregates from several music sources (Spotify, Beats Music, Deezer, Rdio, YouTube, SoundCloud, etc.) into one music service. Check the attachment for the full view. All site development was handled by Bop's team.